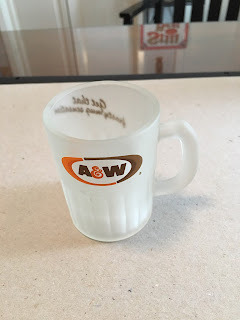 Below you will see all of the A&W Mugs that I have been able to find. As you can see there are a lot of them. I am sure I am missing some. 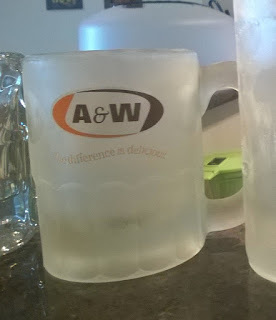 I would love to have you send me a picture of any A&W mug you do not see below. I will add them as they come in. 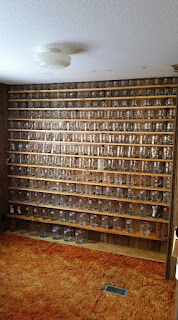 You can send pictures to tom@floodeen.com It will also give me something to look for when I am out and about searching. I have added the ones I do not have to the bottom of this post. I am not sure they come out every year, but most years since 2000 are covered. The largest I called a Papa Mug. 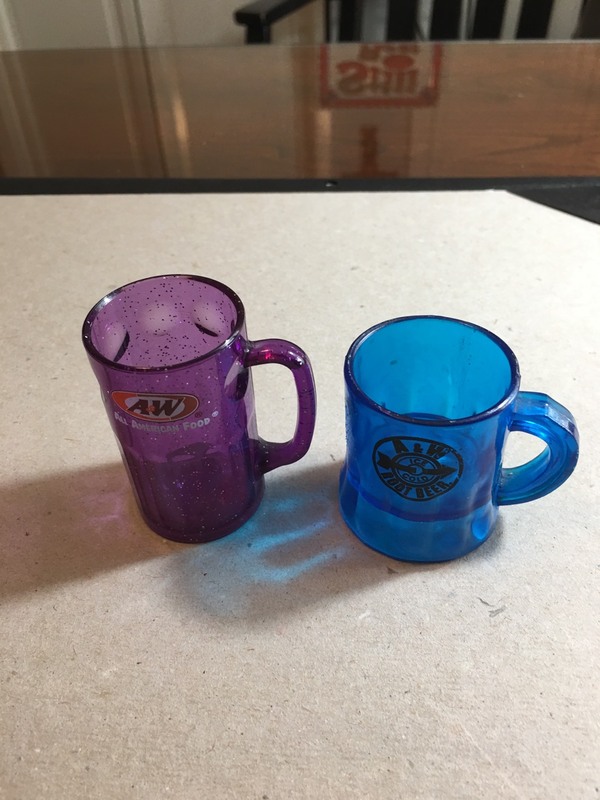 The One slightly smaller is the Mama Mug. Farther down you will see the small Baby Mugs. Most of the yearly ones I have only ever seen a Papa Mug. 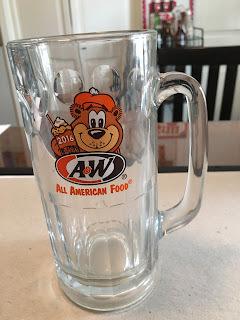 There are a couple Mamas Mugs like the 95TH Anniversary and the 2000. Regular Square handle and the Ear Handle. These are Mama Mugs. Art Pettit sent me the next 3 pictures. Merek sent me the below mug. It is not frosted. He just pulled it out of the freezer to take the picture. Scott Morgan share the below picture of his wall of A&W Mugs. They are all different is some way. 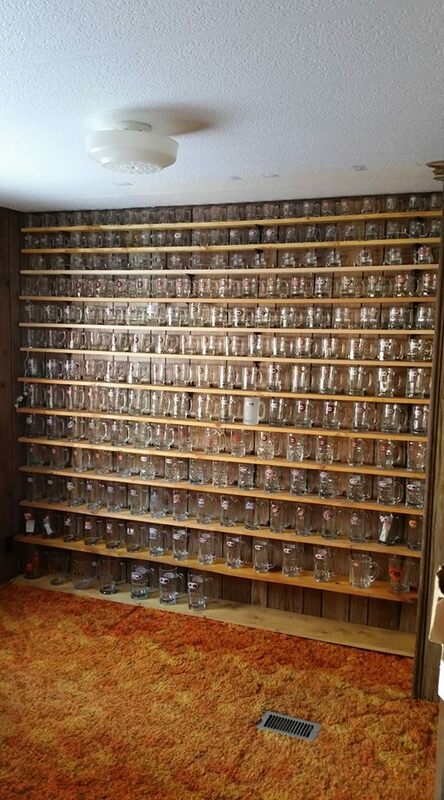 That is a lot of mugs.